Do you want your website to rank in Google Top 20 USA for 25,000 of keywords and get more than 1,500,000 of visitors per month? Then continue reading. Before we tell you about the results of research, we want to bring to your attention 1 incredible fact that many people don’t know: the researched below website promgirl.com is in the Top 20 on Google for more than 25,000 of keywords with only 1,800 of referring domains. 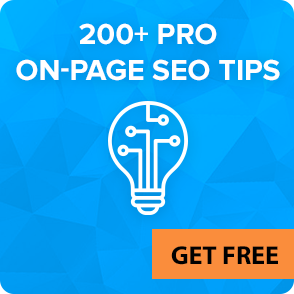 If you divide 25000 keywords by 1800 links, you’ll see that it means that only 1 backlink gives Top 20 positions for 14 keywords at once for this website. How can this be? Download the files with backlinks and anchor texts to see proof by yourself. 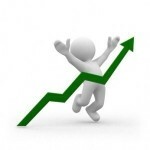 On February 20, 2014, LinksManagement has conducted an SEO research using Free Backlink Checker Tool that has clearly shown that the reason of Top 10 rankings on Google depends not so much on the quality of backlinks, but more on the quantity of backlinks and natural anchor text distribution used in the backlink profile. To determine whether a low quality and non-relevant backlinks have a positive or negative impact on Google search engine rankings. No. of referring domains with more than 31 outbound backlinks: 624 referring domains. This clearly proves that backlinks from pages with many outbound links also have a positive impact on search engine rankings. No. of referring domains with 0 (ZERO) Moz Domain Rank: 60. No. of referring domains with less than 50 Moz Domain Rank: 1,188 referring domains. So most links come from sites with low Domain Rank, which clearly proves that absolutely all backlinks positively influence on Google search results. 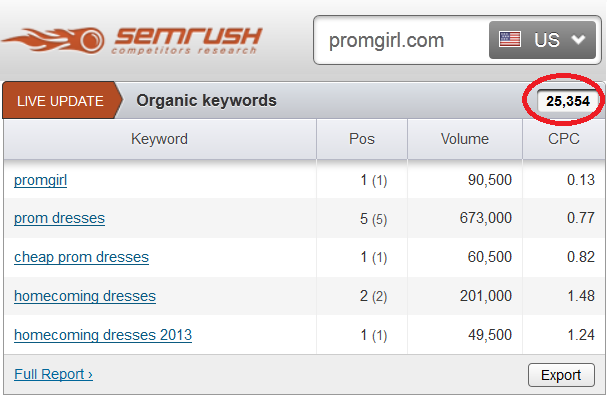 Inspite of all this, promgirl is in the Top 20 Google SERPs for 25,122 of keywords. It has more than 1 million of visitors per month. Whereas, it only has 1,833 of referring domains (if you invest in permanent links, sooner or later you’ll get similar results too). The reason why promgirl.com has so amazing rankings on Google is because its backlink profile has natural anchor text distribution. But, of course, links should come from high DA pages, indexed by Google. 2. Backlink profile must correspond to Natural Anchor Text Distribution Formula. Whole link building campaign should correspond to link building strategy. Our research has shown that backlink profiles of 100% of well-ranked sites in Google correspond to these rules. 3. 85% of well ranked websites just have MORE backlinks than their competitors (and that’s why they rank higher). So the more links you have, the higher rankings you’ll have. The rest 15% of well-ranked sites with a lower number of backlinks than their competitors have, rank better because their backlink profiles look more natural and correspond to natural anchor text distribution. I.e. they don’t have anchor text over-optimization or any other Google penalties. Whereas, their competitors with lower rankings, but more links, have those penalties. 4. This research doesn’t prove or say that you can achieve the Top 10 rankings using only low-quality backlinks. It only shows that low-quality links do NOT have a negative impact on your site rankings in case if they are built with respect to these 21 rules. 5. 1 backlink can improve your site rankings on Google for 14 keywords at once.